Studying Communication & Multimedia Design in my final year at the University of Amsterdam, with a minor inÂ Italian Language & Culture, I'm currently expanding my horizons as an exchange student at Stevens Institute of Technology in Hoboken, New Jersey. And final: I can't live without dancing, traveling and chocolate. This design was inspired by one of my favourite elements of life, chocolate. 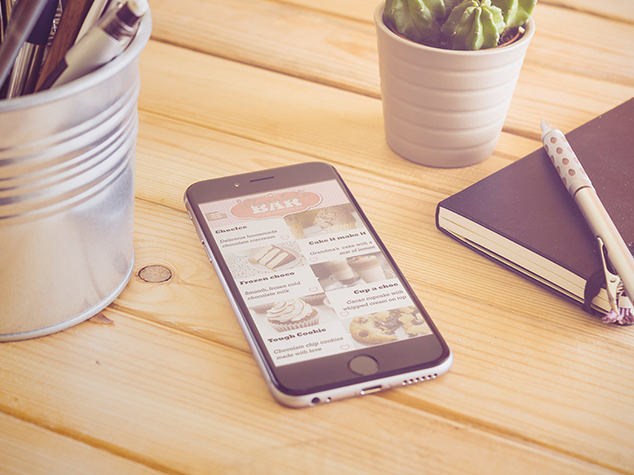 The goal of this project was to design a menu card of any (made-up) restaurant for mobile use. 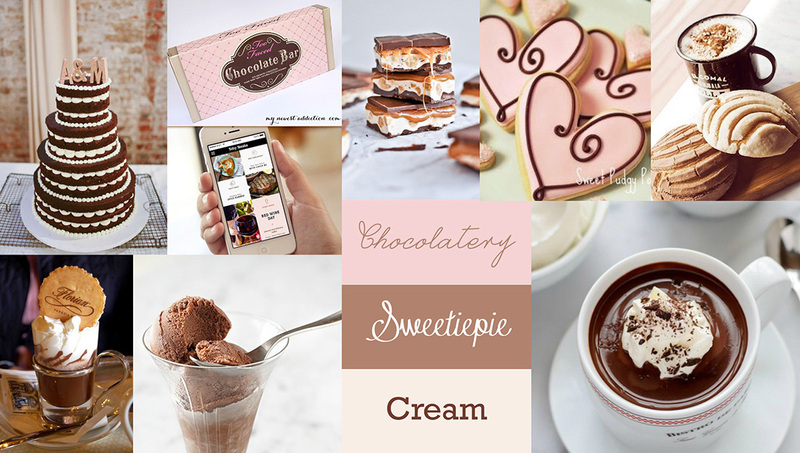 I started off with creating a moodboard, inspired by different shades of chocolate brown, combining it with a baby-pink color for a cute and attractive overall look. First I wanted to make the whole design look like a chocolate bar. After trail and error I noticed this didn't work out, so I used the that design as background for the navigation menu in the left up corner. I made up some fitting titles for the menu items and worked out the details to create a nice and coherente look & feel. 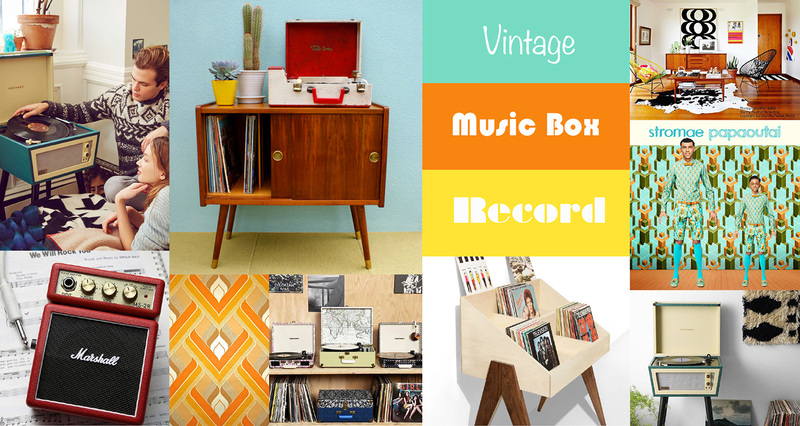 With the idea of vintage, hippie record players in my mind, this design is a music player created for for mobile use. 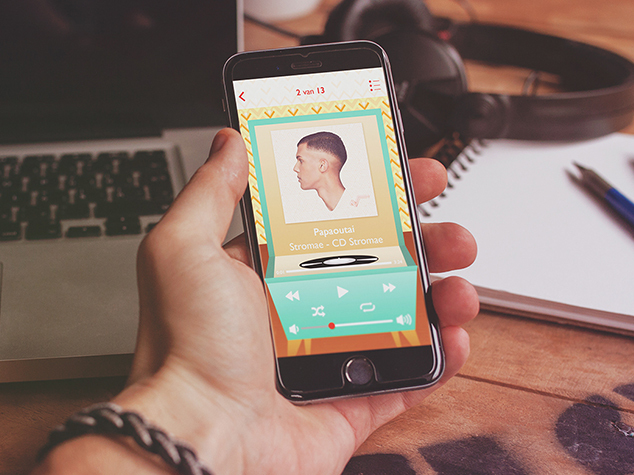 I did research about the different design patterns and elements that are mostly applied for mobile music players and eventually used the structure of iTunes' visual interface as a basis, so the way of using would be different in style, but recognisable in use. I drew sketches of fancy, colourful record players I found on the internet to create a basis and finalised it in Photoshop. 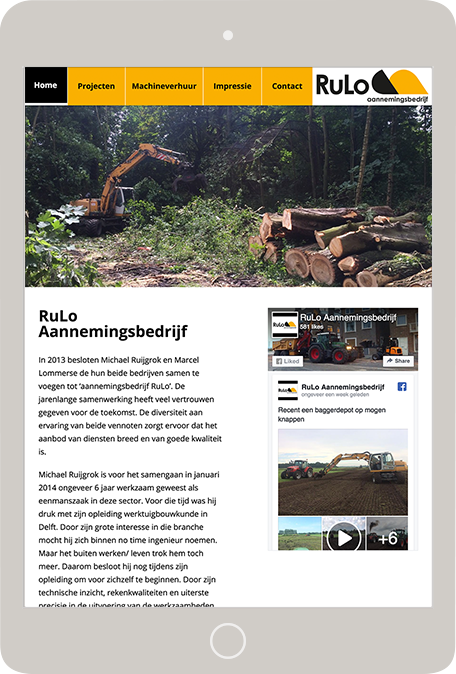 RuLo Aannemingsbedrijf is a construction company, specialised in landscaping, building demolition and constructing properties. 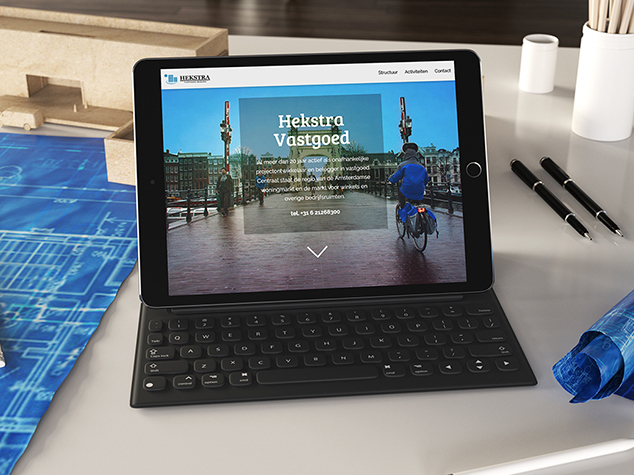 With this website, they wanted to highlight their portfolio of past projects, their broad range of services, and their machine rental offerings. I sifted through a large number of their photos in order to find the best representation of their wide range of services. 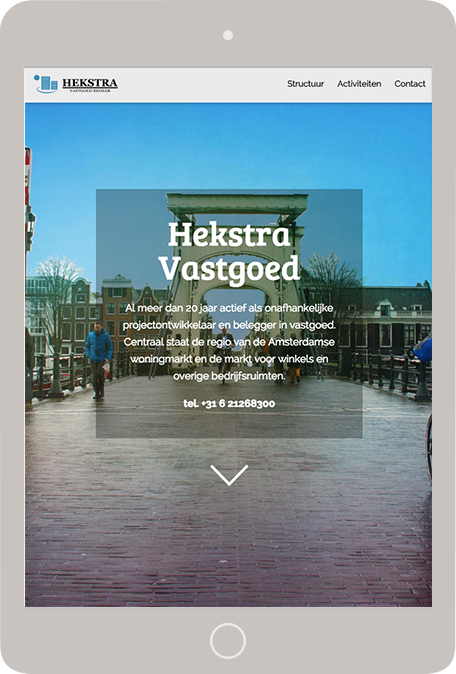 This website is for Hekstra Vastgoed, a real estate company that sells and rents houses in Amsterdam. 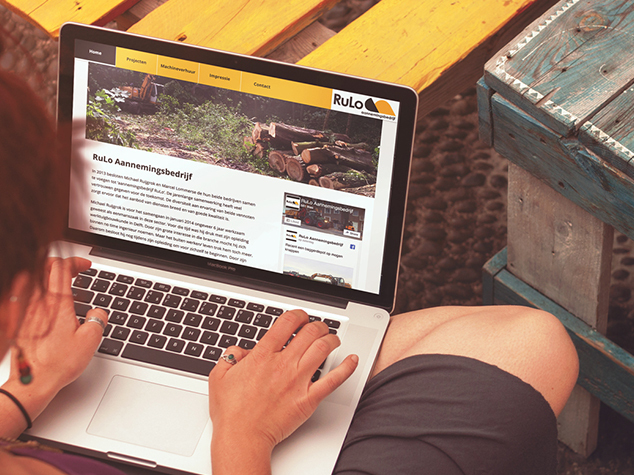 The website's main goal is to provide information about the company and the list of services they offer. 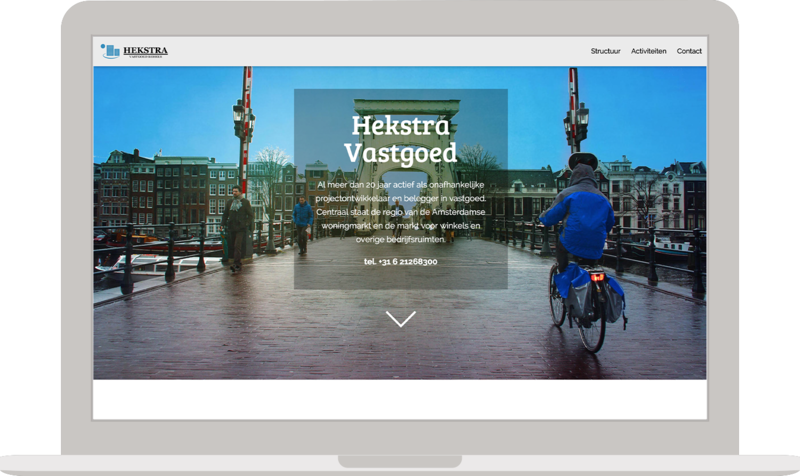 I chose to create a one page website that would show a clear overview of these elements, with the nice feeling of the Amsterdam atmosphere on the background, but still having a businesslike touch. 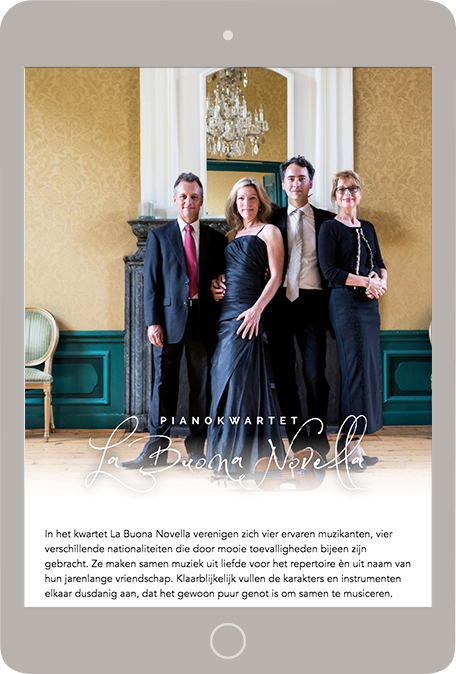 La Buona Novella is a musical ensemble, consisting of a violin, a viola, a cellist and a pianist. They give concerts regularly on national and international grounds. 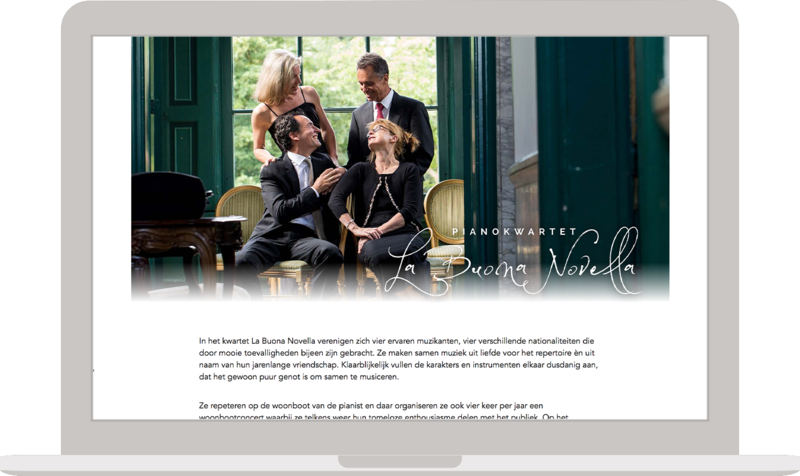 I was present during their photoshoot and worked together with the photographer to capture different sort of pictures that were usable for certain elements of the website. 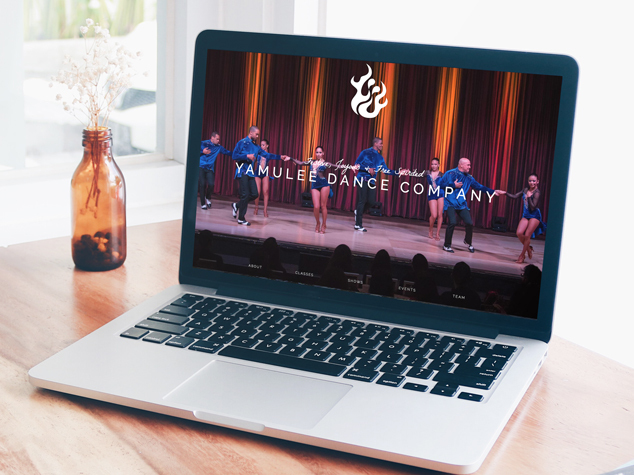 YamuleÃ© is known as one of the best salsa dance schools and companies in the world. The team has traveled to more than 50 countries to teach and perform. 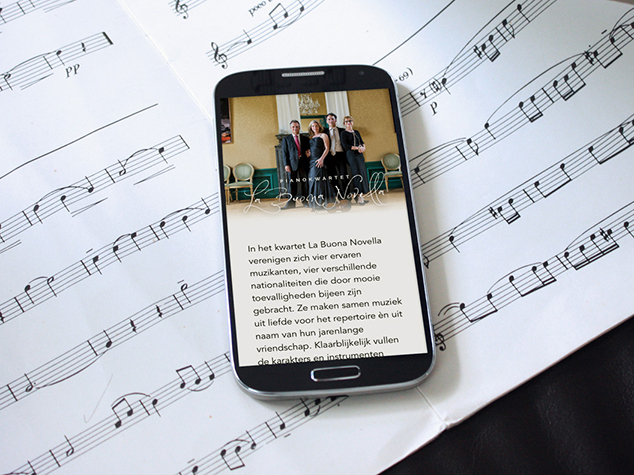 The former website was old-fashioned and unorganised. My goal was to give it a modern look and feel and make sure the right information is in the right spot. I also took all the profile pictures of the members.